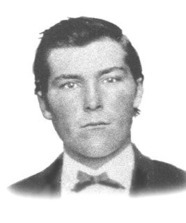 John Wesley Hardin was the second son born to a Methodist preacher near Bonham, Texas, who named him after the godfather of the Methodist church. Two things remained constant in Hardin’s short life, violence and poker. A road gambling, bon-a-fide outlaw, Hardin was a man with a short fuse and an itchy trigger finger. Listen to him, and he’d tell you he was almost always the victim, that self-preservation is a holy virtue, but be wise. Don’t be fooled by sentimentality. Hardin was cold-blooded. As if the dozens of men he killed isn’t proof enough, his time spent at the poker tables help give a glimpse into the man behind the gun. It was Christmas Day, 1869, and Hardin wrote he went to the races near a town called Towash in Texas. Hardin said “everybody in the ‘60s carried pistols” and he did the same. Later that evening, he ended up in a draw poker game with three other folks. There would be trouble, he wrote in his autobiography, The Life of John Wesley Hardin. That’s almost $7,000 in today’s dollars. The other four players had less than $100 total in front of them. By midnight, with another Christmas gone, Hardin had all the money on the table, but he made a mistake judging the characters he had fleeced. He wasn’t wearing boots. Hardin was not going to let this stand. He said he didn’t want to face his father in the shape the men put him in, so he borrowed a gun and prepared himself for a showdown. Then it happened. What were you doing at 16? Hardin was officially on the run. Bradly wasn’t even his first victim. That was a boy, a childhood acquaintance that he said he killed in self-defense. Soon after, he said he killed four soldiers who were trying to capture him. It was the beginning of a pattern that would repeat itself until that one bullet destined for his soul would find him later in an El Paso saloon, government pardons be damned. Hardin’s autobiography, written while he was serving a 27-year sentence after he was finally caught in 1875, should not be taken as Gospel. 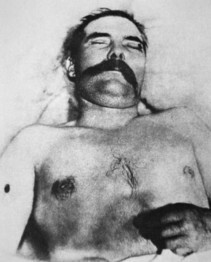 According to Leon Metz’s biography John Wesley Hardin: Dark Angel of Texas, the year this violence took place was 1870. And it wasn’t “Jim Bradly” who had his head blown off (although that’s who Hardin knew him as). It was Benjamin Bradley. Wesley’s autobiography was certainly written as an attempt to gain public sympathy for his dastardly deeds. Studying law and passing the Texas bar while jailed also helped his case. He was released from prison in 1894 after serving 15 years and five months. Soon after he was pardoned by the Texas governor named “Big” Jim Hogg. Incidentally, the Governor’s daughter was named Ima. Ima Hogg. One night, a paranoid and edged Hardin, on the run from the law as always, found himself in a poker game with one of the more ruthless murderers in Texas at the time, “Wild” Bill Longley. The nation was in shreds after the Civil War. Violence was the order of the day. Longley and Hardin were as much a product of the war as the soldiers who fought it. They were murdering thieves, teenagers with no concept of the future, and they spent a ridiculous amount of time playing poker. According to Hardin, Longley’s reputation preceded him. Hardin’s machismo often overruled everything else. What a hand! The betting exploded. It got back to Hardin. ‘Put it up,’ said I. He went down in his pocket and pulled out four $20 gold pieces and took out a $5 gold piece. Mercifully, and somewhat miraculously, there was no violence that night. But what kind of man slow rolls another man who has not one bit of problem stopping the hearts of men? Welcome to the Reconstruction Era in Texas. Hardin was 5’9”, 160 pounds of pure anger and no regret. The Bradley killing started a decade of shootings and confrontations. He was a fugitive and was determined not to be captured. It didn’t matter to him how many men he’d have to kill to remain free. All this while, he made his way through the south and south east hustling cards. In the mid-1870s, he often went from Mobile, Ala., to Pascagoula, Miss., with a friend named Kenedy playing cards and cheating people. But later that year, he was caught and despite early repeated attempts at escape, would remain imprisoned until 1894. His escape attempts always lead to being lashed. Hardin claimed he killed 42 men. The newspapers of that era put that number closer to 27. Another interested poker tidbit comes from his autobiography. He said he played in a “freeze out” and won $5. It quite possibly is one of the first times that phrase was used in print. His autobiography was published in 1896. Hardin had to have the inclination that his death would be violent, and it would most likely come in the back of, the front of, or near a saloon. On Aug. 19, 1985, an El Paso constable named John Selman walked up to Hardin, who was playing dice in the Acme Saloon, and put a bullet in the back of his head. The two had argued earlier in the day. Selman said nothing as he fired three more shots into Hardin’s dead body. Selman was acquitted by a hung jury, but before he was retried, he was killed in a shootout. Hardin was 42. A hundred years after his death, his great-grandchildren sued the city of El Paso to have his body moved and be buried next to his wife in Nixon, Tex. There was almost a real fist fight at his grave.